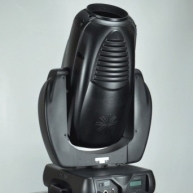 The VARI*LITE VL3500?Q Spot luminaire is a powerful 1200W luminaire with 50 percent audible noise output from the standard VL3500? luminaire. 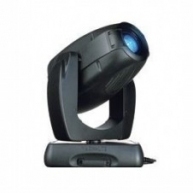 The VL3500S Spot luminaire maintains the same high standards set by the original VARI*LITE Series 3000? 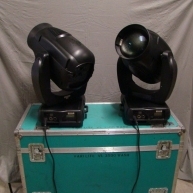 Spot luminaires for imagery, beam control, color and brightness. The added feature is a four-blade shutter mechanism that allows the blades to be operated independently or in unison on two planes for a clear and crisp image. The "Q" range fixtures are designed for situations where the absence of noise is critical to the performance. 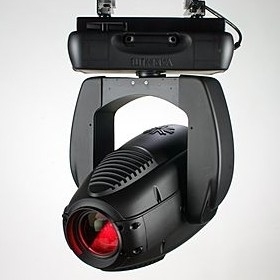 The VL3500Q Spot moves and operate the same as the VL3500 Spot luminaire. The trade off is strictly thermal. The "Q" range has an ambient temperature rating of 40-degrees Celsius, compared to the 50-degree Celsius rating on the standard "non-Q" fixtures. The VL3500Q Spot luminaire can be controlled from a wide variety of DMX-512 consoles without the need for additional interface equipment. 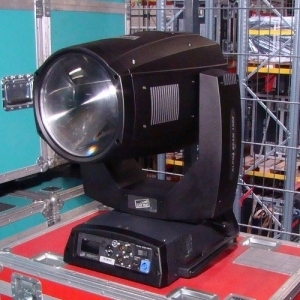 VL3500Q Spot - Used on various rentals. Tested after each job. 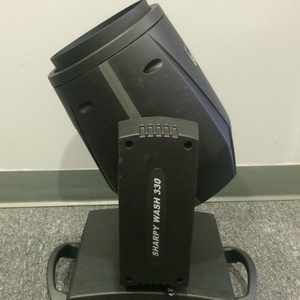 VL3500Q Spot - VL-3500Q Spot in good condition. Previously used on rentals. VL3500Q Spot - Units have been maintained in the seller's rental inventory. Certified Vari-Lite techs.